Comparing wing melanin to regional climate change, the authors relied on models to predict selection and evolutionary responses over the past 50–60 years. They also analyzed the changes in population mean fitness over time at the subalpine and alpine sites by relating solar absorptivity (the amount of radiation absorbed by the body) to fitness for a given site and year. Between 1955 and 2010, during the month of July, both the mean and daily maximum temperatures increased significantly for the study sites. Kingsolver and Buckley found that butterflies at the subalpine site had lower optimal absorptivity and a higher maximal fitness, whereas butterflies at the alpine site displayed a cohesive increase of optimal absorptivity and fitness, thus determining that the increased wing melanin exhibited in C. meadii has been favored at the alpine site. However, there are two opposing factors affecting fitness: increased melanin enables increased flight and reproduction, but it also increases thermal stress that negatively affects egg viability and adult survival rates. A premature evolutionary response to climate change would adversely affect the populations of C. meadii, therefore it would be expected that the butterflies that have survived to reproduce effectively are those that have a slower evolutionary response to climate change. Kingsolver, J. G., Buckley, L. B. 2015. 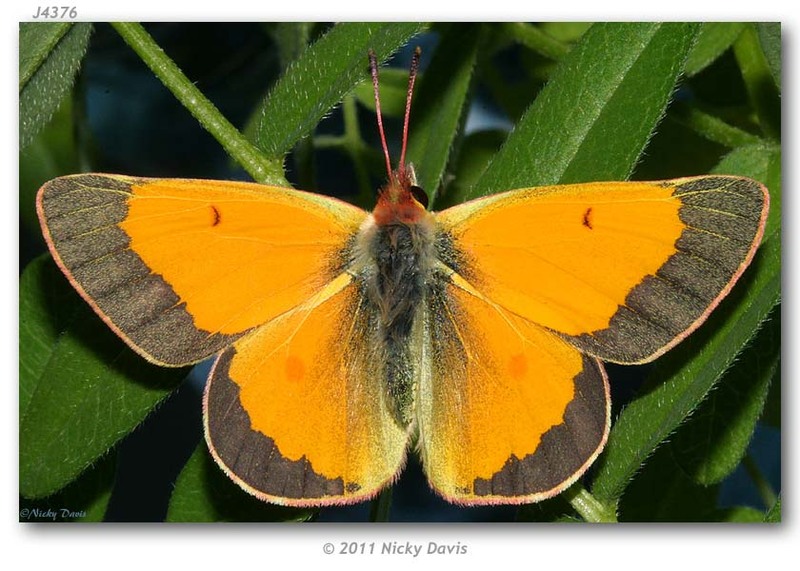 Climate variability slows evolutionary responses of Colias butterflies to recent climate change. Proceedings of the Royal Society of London B: Biological Sciences 282, 20142470. This entry was posted in Adaptation, Anna Alquitela and tagged biophysical models, Climate change, Colias butterflies, environmental variation, evolution, Joel G Kingsolver, Lauren B Buckley, natural selection by Emil Morhardt. Bookmark the permalink.